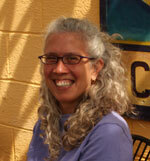 Wendy Banning, educator, consultant, and photographer, is the program director of Learning Outside, an inquiry-based, hands-on outdoor learning space on Triangle Land Conservancy's Irvin Farm Preserve. Learn more about Wendy at www.learningoutside.org. 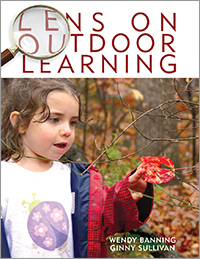 The outdoors is filled with rich learning experiences for young children. Packed with colorful photographs and detailed stories about children exploring and experiencing nature, Lens on Outdoor Learning will inspire you to facilitate and encourage children's learning as they spend time in nature. Each story describes how children naturally explore and create their own learning experiences outdoors. Using images, children's dialogue and actions, you will see how the natural world supports joyful and meaningful learning that connects to the approaches to learning standards.